Russian Orthodox Patriarch Kirill has performed a service in Beijing during his first-ever visit to neighboring China. The service was performed on May 12 amid tight security in a tent on the grounds of the Russian Embassy with some 300 people in attendance. On May 10, Kirill met with Chinese President Xi Jinping, and the next day he toured the Great Wall of China and the Forbidden City in Beijing. 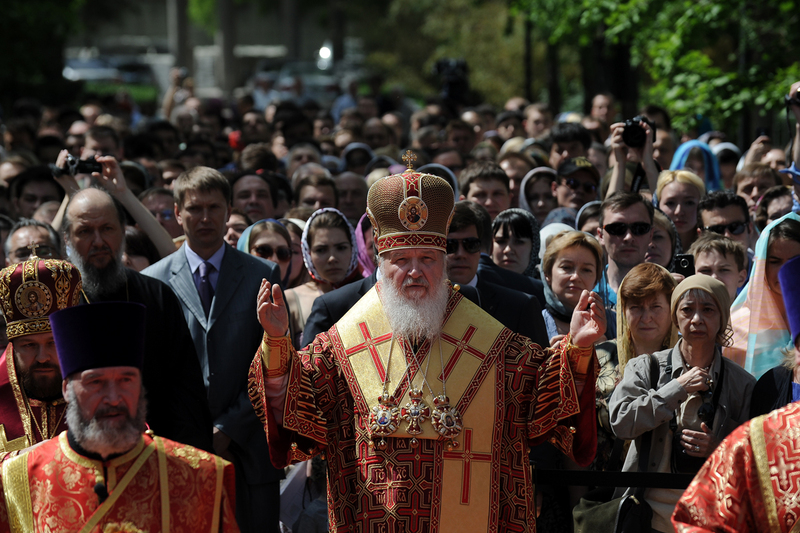 During the remaining three days of his visit, Kirill plans to meet with Orthodox believers in Harbin and Shanghai.